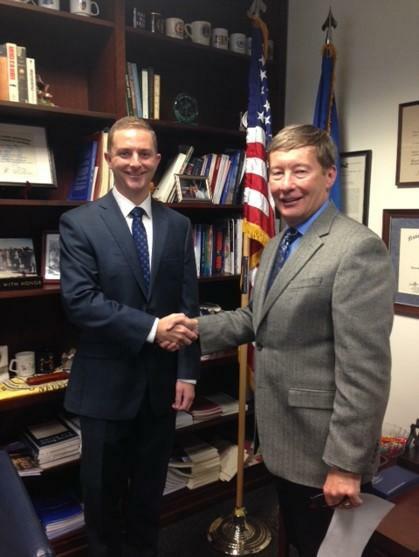 Two terrific things happened for the Air Force recently. No, I’m not talking about the new poll that shows Americans consider the Air Force the military’s most important branch, or the even newer poll that shows it is the service Americans would most likely recommend to their children or grandchildren to join. Rather, I’m talking about the recognition given two young Air Force military lawyers with strong Duke Law connections. 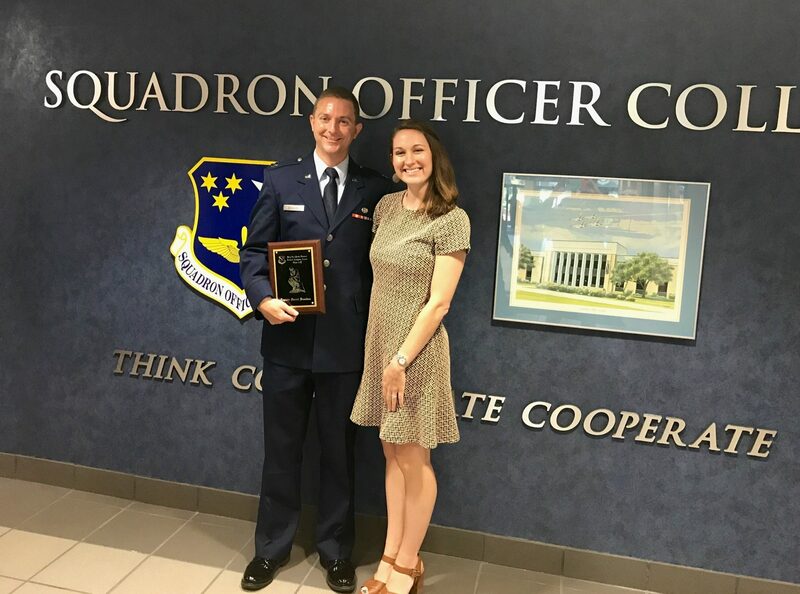 Air Force Judge Advocate (or JAG) Capt Danny Beaulieu, Duke Law Class of 2015, graduated from the Air Force’s Squadron Officers’ School (SOS) as a Distinguished Graduate, and also won the Brig Gen Hinman Critical Analysis Award. Here’s some context so you can understand why Danny’s achievement is such a big deal. As the commandant explains, the school “delivers primary developmental education for captains and their Department of the Air Force (DAF) civilians.” It is a “graduate-level executive leadership seminar that helps them identify their leadership strengths and weaknesses, provides them the tools for improvement, and empowers them with opportunities to apply what they have learned.” Each class has more than 500 students, to include representatives from about fifteen countries. Quite obviously, Danny finished at the top of a very talented group of young leaders. Danny and his lovely wife Brittany are off to another adventure with the Air Force as Danny takes up a new assignment at Osan Air Base, Korea (where I served early in my career). 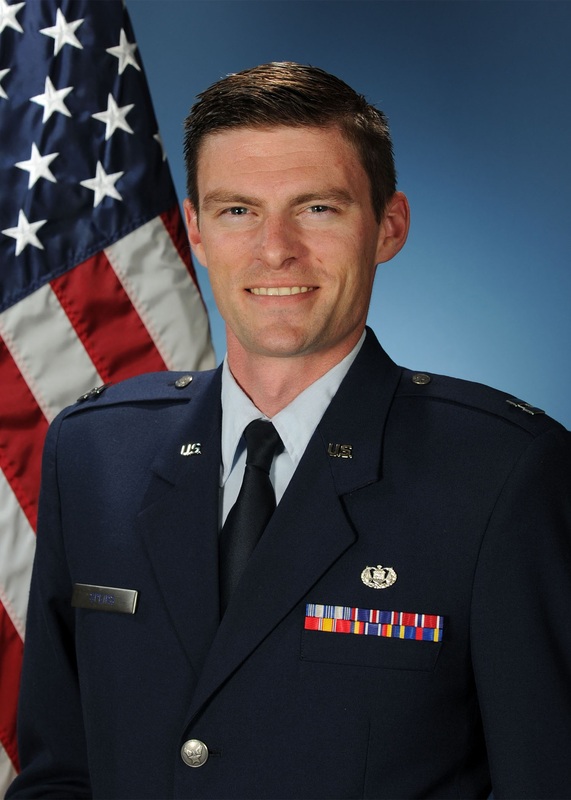 The other terrific event was the Texas State Bar’s selection of Capt Greg Speirs, currently assigned to Lackland Air Force Base, TX, for the “Colonel Tom Krauska Award for Outstanding Service as an Active Duty Military Lawyer Stationed in Texas.” As Greg’s boss explains, this award “is given for outstanding achievement and service to the civilian, military, and professional communities. It is open to all active duty JAGs O-2 [lieutenatnt] through O-4 [major] stationed in Texas.” I don’t know how many eligible JAGs that would be, but keep in mind the military has about 175,000 active duty troops in Texas. 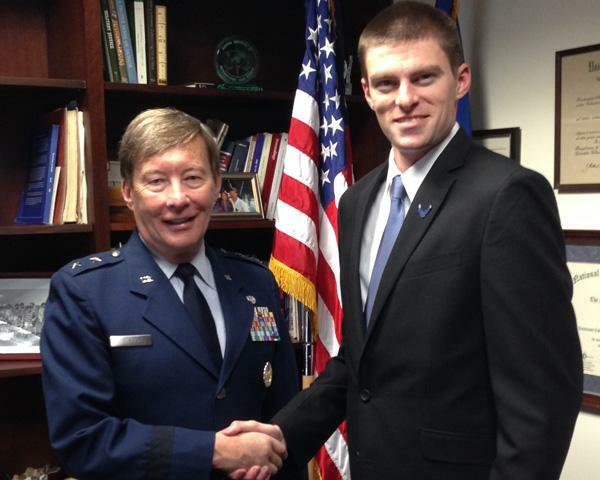 Greg at his commissioning in December 2014. Duke opened doors. I was happy to see a lot of students taking advantage of initiating conversation with the leaders from past and present in the room at the [2017 LENS] Conference this year. I think only a few of us did that back during my time there. Duke students get a world-class degree (granted I kept my education fiscally sound at NCCU), but Duke [also] places a student in the arena – literally sitting at a table with [people such as] Gen Mattis …[in order to] hear their thoughts and experiences. [F]olks like Robert Litt, Colonel Zoldi and Judge Brett Kavanaugh all handed out business cards and offered to get lunch with me. Where else as a young person can you find yourself that fortunate without those opportunities (Duke LENS Conference & Washington DC ABA)? If it wasn’t for attending classes at Duke, I do not think I would have made the cut to become a judge advocate. The curriculum, conferences and the speakers you and Judge Silliman built made a lasting impression on me and gave me some big career opportunities (meeting Colonel Zoldi, General Burne). Both Danny and Greg were very active in supporting LENS activities, and I could not be prouder of their hard work that produced these achievements. They are wonderful young lawyers whose accomplishments we will continue to hear about. And we can expect to hear about other Duke Law grads as well. Although it is extremely difficult these days to get accepted into the military’s cadre of uniformed lawyers – and JAG is certainly not for everyone (see here and here) – the 2017 Duke Law graduating class is adding five more JAG officers to the military’s attorney corps. Congrats to Danny, Greg, and the next generation of Duke Law JAGs!!!! What do Sally Yates, Jack Goldsmith, and Kirk Douglas have to do with each other? Read on.